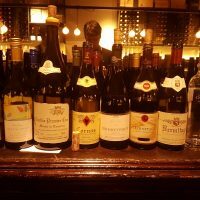 Why is it that the Rhone Valley is not as universally revered as Burgundy, Bordeaux or Champagne? That is a serious question, comment below to help me understand. 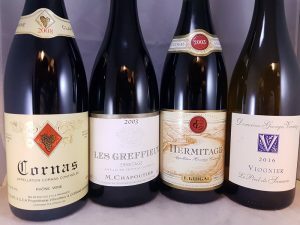 I have been lucky enough to have drunk a good amount of mature Rhone Valley red wine from the North and the South over my years. But they are ALWAYS second class compared to the holy trinity mentioned above. 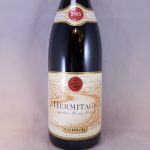 I mean, come on, the Hermitage Syrah is perfect for the Australian palate. And Saint-Joseph might be even better. 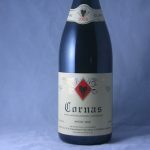 I do understand how Cote-Rotie and Cornas can be a bit savoury and boney and expensive. But really, this silliness has to stop. 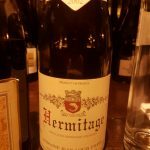 At dinner we did our bit and opened some Hermitage Syrah and other Northern Rhone wines. 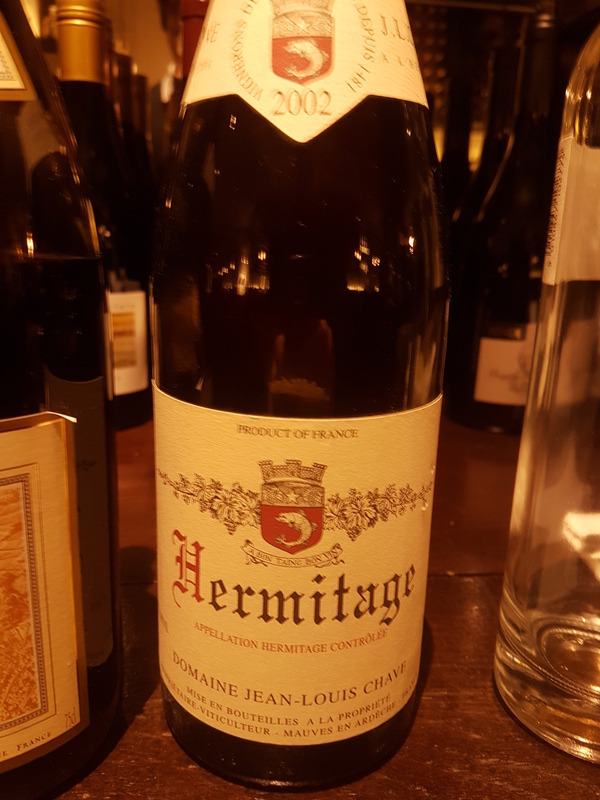 I mean, I’ve done it before but this time the focus was firmly on Hermitage. 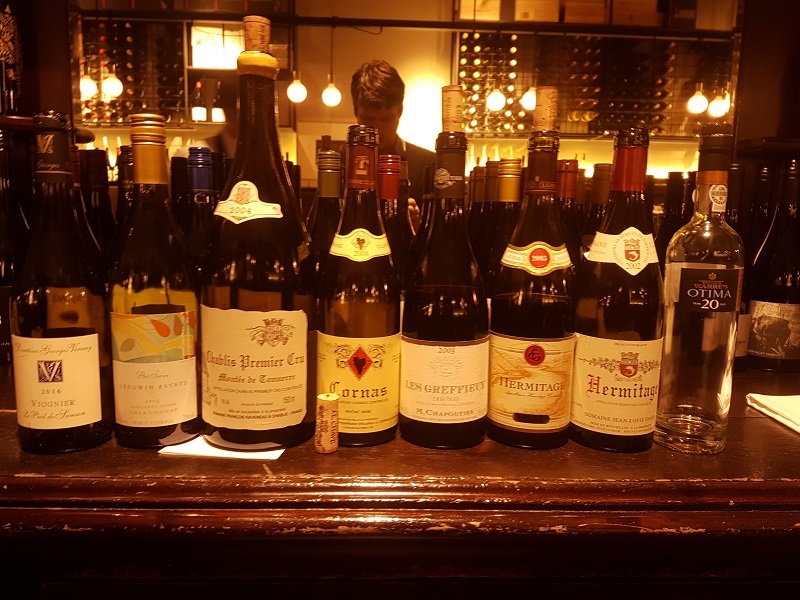 We got there via some white wine; Domaine Georges Vernay La Pied De Samson Viognier 2016. This vineyard used to be part of Condrieu, then they re-drew the boundaries and it wasn’t. Nevermind, the team at Vernay still make a cracking wine here. While a lot of people struggle with the opulence of some Viognier, it is possible to make a wine that is restrained with herbal and mineral notes, long on the palate and creamy without being oily and thick. That is exactly what this wine does, it has the classic flavours of apricot and aloe vera with plenty of intensity. In my opinion, this is a wine to drink. Get some pate or scallops and go to town. It certainly changes a lot in the glass and it definitely needs to be served at cellar temperature, not icy cold. Before the Rhones we had a frustratingly young looking Leeuwin Art Series Chard 2005 and a beautifully en pointe Raveneau Montee de Tonnerre 2004 out of magnum. Woo! As we discussed earlier, within even the Northern Rhone, there are a variety of styles. What does Shiraz taste like? 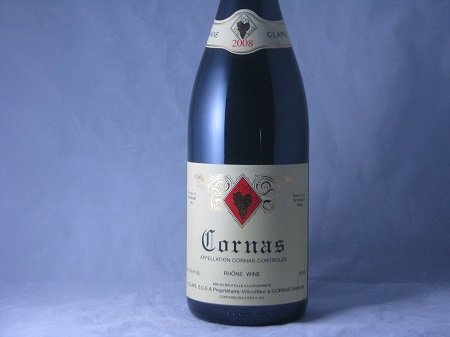 We started with Cornas which is 100% Syrah and notable for its dry, mineral, tannic hardness. I find a lot of Cornas unattractive and without joy. We opened a Auguste Clape 2008 however, which is a wine I’ve had before and that is a charming wine. 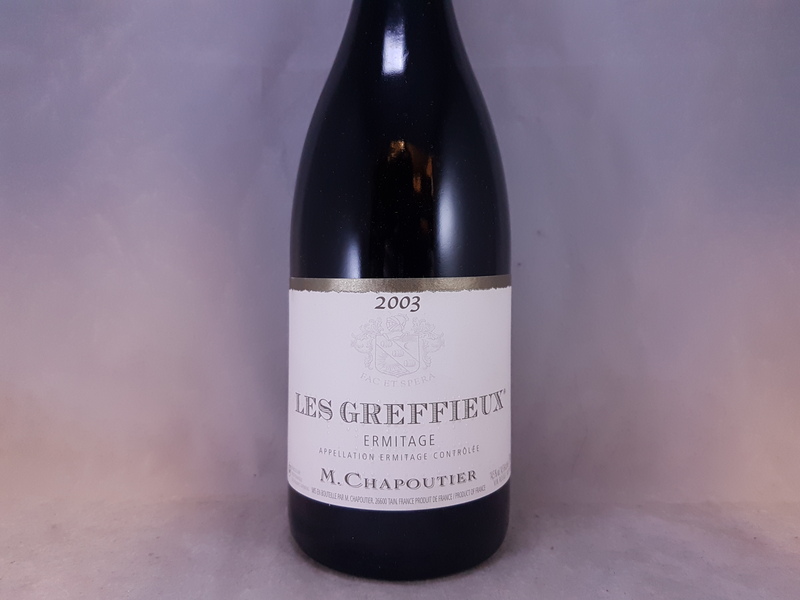 Old vines, six great vineyards within the appellation and the years of knowledge of how to make a wine that will last forever (I am almost being literal) but still offers the drinker something while it is young. This is a baby, it is a beautiful baby but it needs another 10 years or maybe closer to infinity? Who knows. Now for a trio of Hermitage. The hill of Hermitage is quite a stunning place. I drove up there and had lunch on top with the sun beating down on me. It was so good, I’m going back next year. But it is also quite a big hill in terms of length and height. There are many terroir within the appellation and many, many producers. We looked at three classic examples. 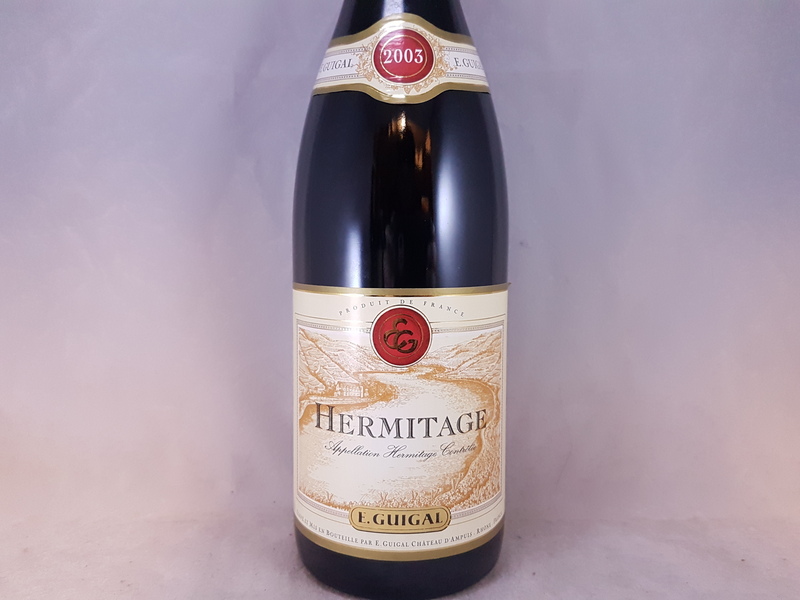 Chapoutier’s Les Greffieux 2003, Guigal Hermitage 2003, and JL Chave Hermitage 2002. In terms of vintages, 2003 was a hot, dry year. It was a year that challenged a lot of old world producers who were not used to Australian weather conditions. The ones who had worked internationally fared much better and there was some great wine made. There was also a lot of wines that looked a lot more like Port. Definitely a a cooler, elegant and well structured wine. Seemingly out of place from that vintage as there was a no hint of over-ripeness. This could be in part because of the site being at the bottom of the Hill of Hermitage and missing most of the direct heat, while having more access to water. It could also be it was from a more worldly wine-making team. That particular bottle though, was rendered undrinkable by the cork taint it was suffering from. Man! That is not a cheap bottle. Thankfully it will be swapped over and appear at a dinner again. This bottle was direct from the importer’s wine paradise (I do mean this literally). Unfortunately it was looking too old, cooked and generally out of condition. No obvious faults, I think it was just not a wine that could last 15 years. Which is a shame because I’ve tasted other vintages like 2005 and 2009 which were heartily successful. Completing the bracket is the JL Chave from 2002. 2002 was not a good vintage; it was pretty ordinary in fact. But when I was asked if I thought it would be OK I went so far as to say I thought it would be better than OK. It would be wine of the night. Spoiler alert: I was right. Even if the Chapoutier wasn’t corked, it would not have been a patch on this pretty young wine. 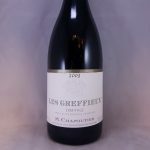 Chave is a top flight producer, with holdings in great terroir and has earned a reputation based on making wines like this in bad years. Everyone can make good wine in good years. This wine was violety, red, blue and purple fruits, tar, animale, maybe a hint of brett? The wine is savoury and long with great balance. It was too young, it needs much more time. It was bloody good though. Our mystery wine smelt like eucalyptus and we were assured it was there for a good reason. It turned out to be a Henschke Mount Edelstone Shiraz 2002. It is hard work for any wine to follow Chave. Even harder for an New World wine to follow a table full of Old World wines (the reverse would be true too). The moral of the story is, I’d like to see it in isolation. For me, to have drunk four Syrah from indifferent vintages in the Rhone and seen the promise there, it was a kick up the bum to find more Rhone Valley wine for you and I to enjoy. Unless you can give me a good reason not to?